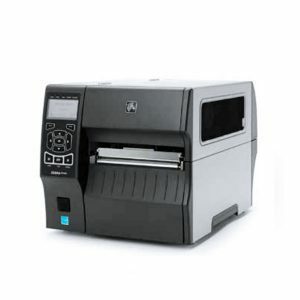 Keep your critical operations running efficiently with Zebra’s durable ZT400 Series printers, designed for years of performance in a wide array of applications. The ZT400 Series builds on the field-proven reliability of the Z Series™ with advancements in print speed, print quality and connectivity options. Designed for ease of use, the ZT400 Series printers offer an intuitive icon-based LCD graphical user interface and easy supplies loading. And, they include standard USB, Serial, Ethernet and Bluetooth® capabilities. Expanded RFID capacities deliver greater tracking abilities, deeper visibility and enterprise insights. Manufacturing: work-in-process, product ID/serial numbers, packaging labels, receiving/put-away labelling. Retail: distribution centres, back-of-store operations.